Flat brushes have a slightly wide, flat base and a tip made of quality sheep wool trimmed in a straight line. They are used to lay down a flat wash over a relatively wide area. They come in various widths, ranging from size 0 (approx. 0.5 cm) to around size 10 (approx. 3.5 cm). The types of hair used are soft luster wool (from the base of the sheep’s tail) and prime quality wool. Some flat brushes are made of squirrel hair for use with gold and silver paint which tends to get caught up in the brush and doesn’t apply well. 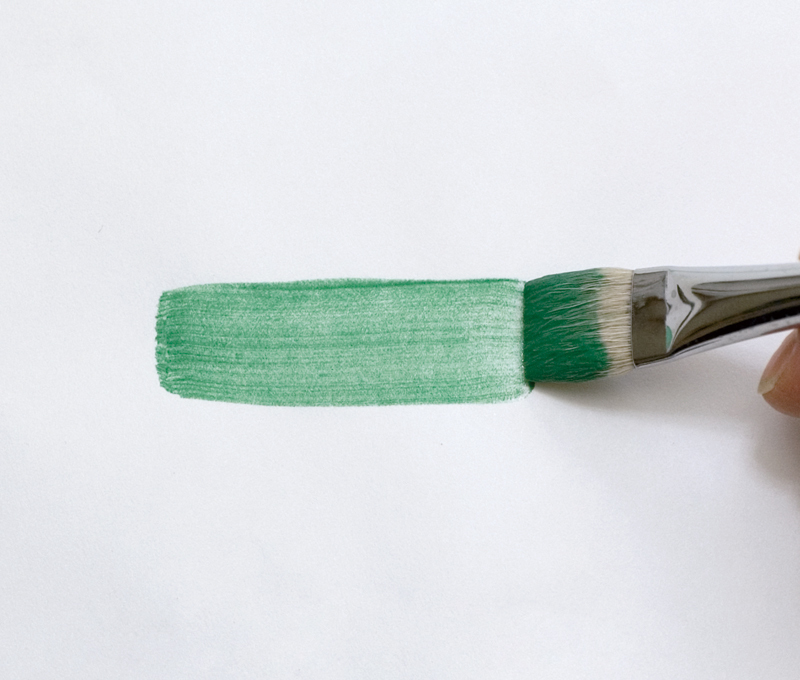 A good flat brush will have a neatly aligned tip with no gaps and be firm enough to allow the paint to be applied smoothly on to a surface. Flat brushes are wider than coloring brushes and narrower than paint brushes. Because of their better moisture and paint holding properties, they enable the artist to use even, regular strokes. They can also be used to create a variety of expressions by tapping gently with the brush tip, or using the edge and moving the brush sideways to draw narrow lines. Wash in cold or lukewarm water after use and drain off excess moisture. Leave to dry on a towel in a well-ventilated location out of direct sunlight. Note that leaving the brushes on a brush stand with the brush tip facing upward could cause moisture to collect at the base and damage the brushes. 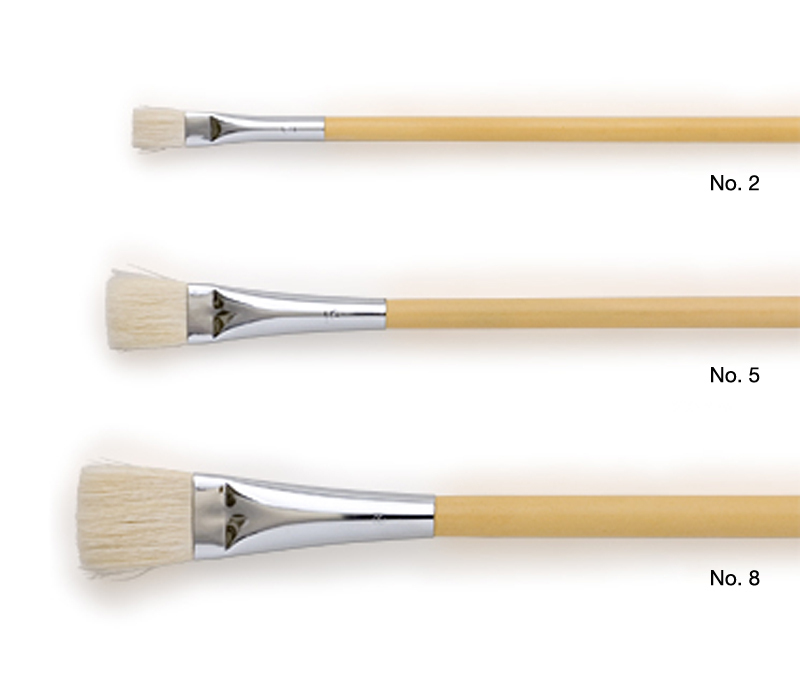 Flat brushes can be purchased at art stores selling Japanese art supplies and general art stores.